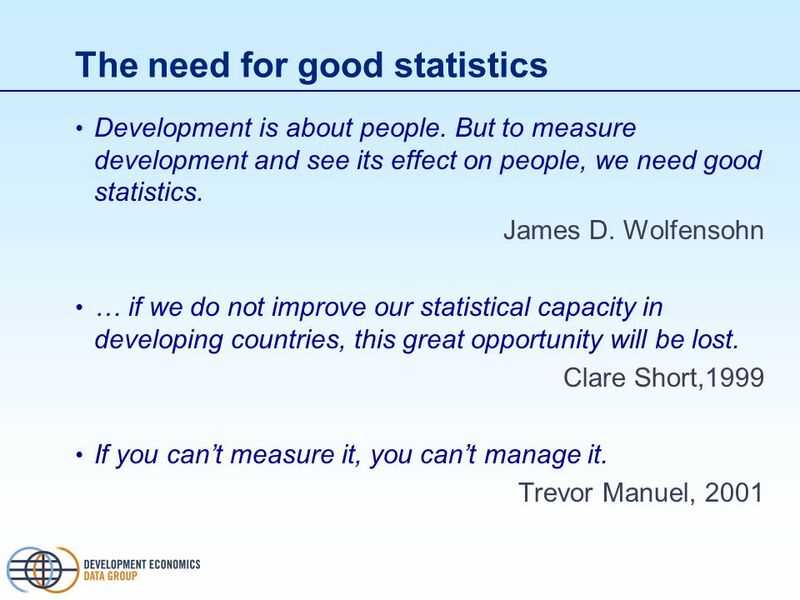 Measuring Results Development goals and the drive to improve global statistics Shaida Badiee, Development Data Group. 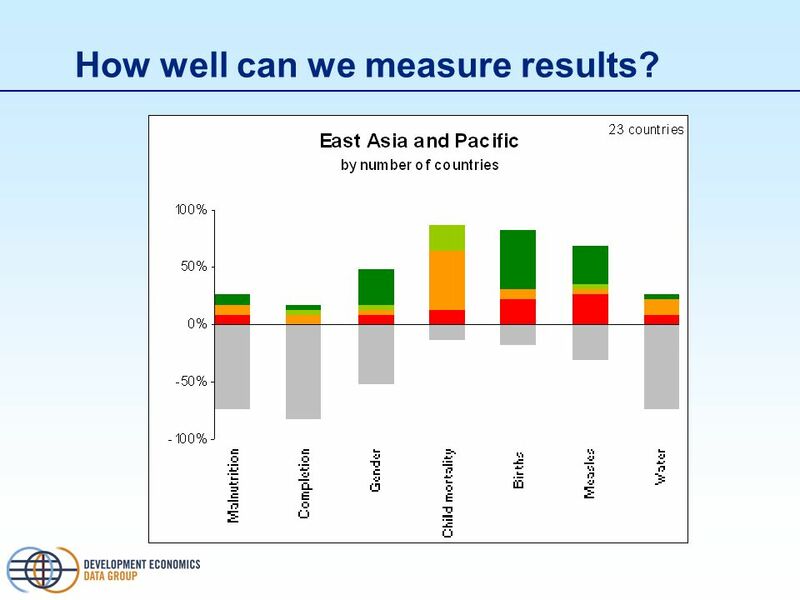 4 How well can we measure results? 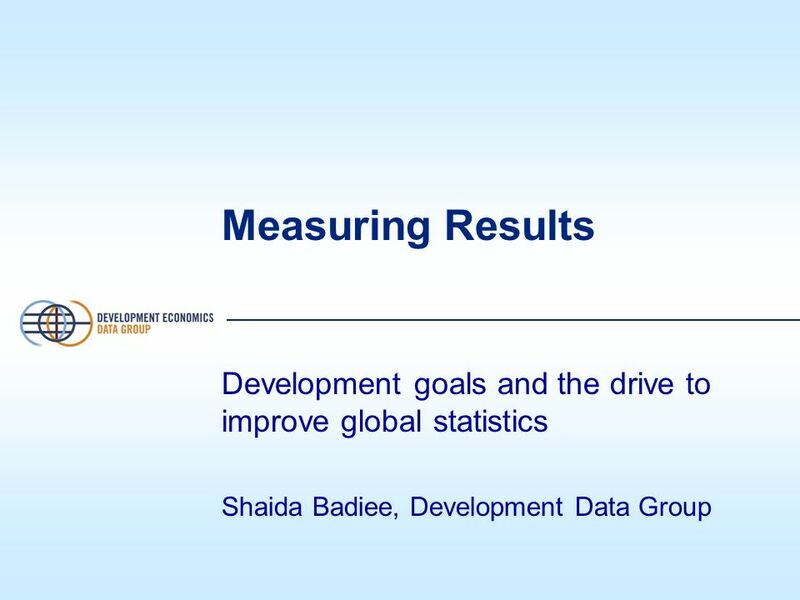 Download ppt "Measuring Results Development goals and the drive to improve global statistics Shaida Badiee, Development Data Group." 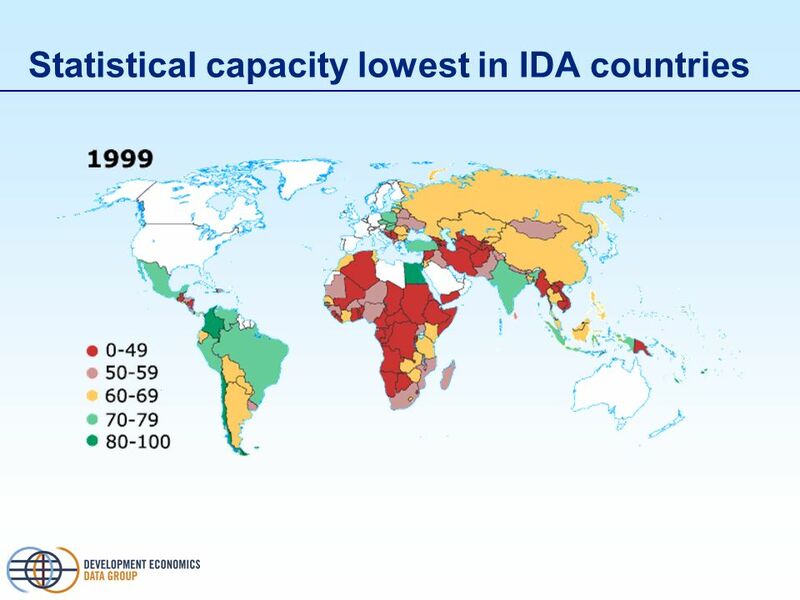 Achieving the MDGs: RBA Training Workshop Module 1: How to Meet the MDGs May 9-12, 2005. 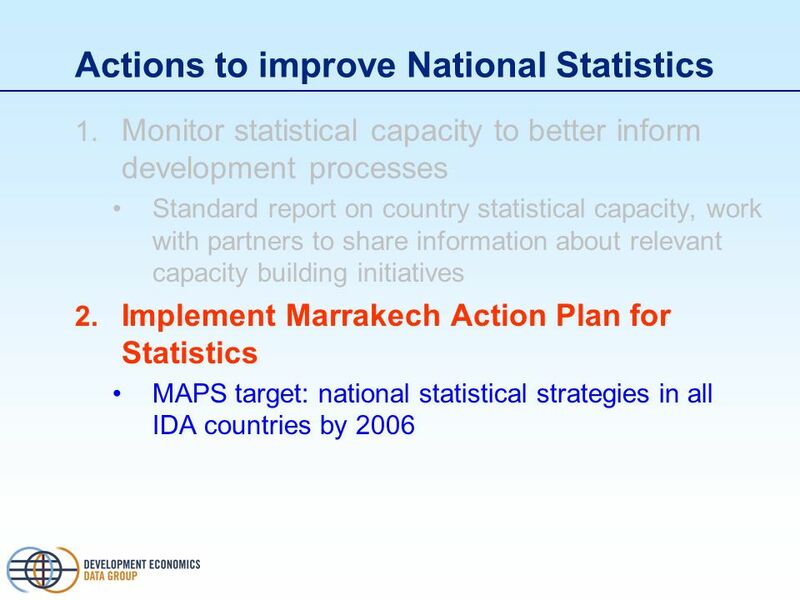 MDG based national development strategies and plans in Africa: the role of the Integrated Package of Services Presentation by BDP/BRSP at RBA Workshop. 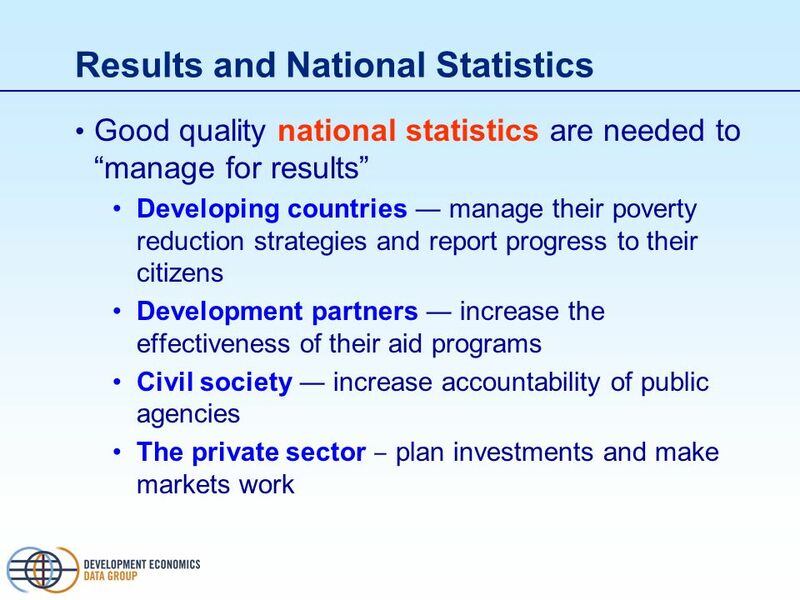 MICS3 & Global Commitments MICS3 Data Analysis and Report Writing. 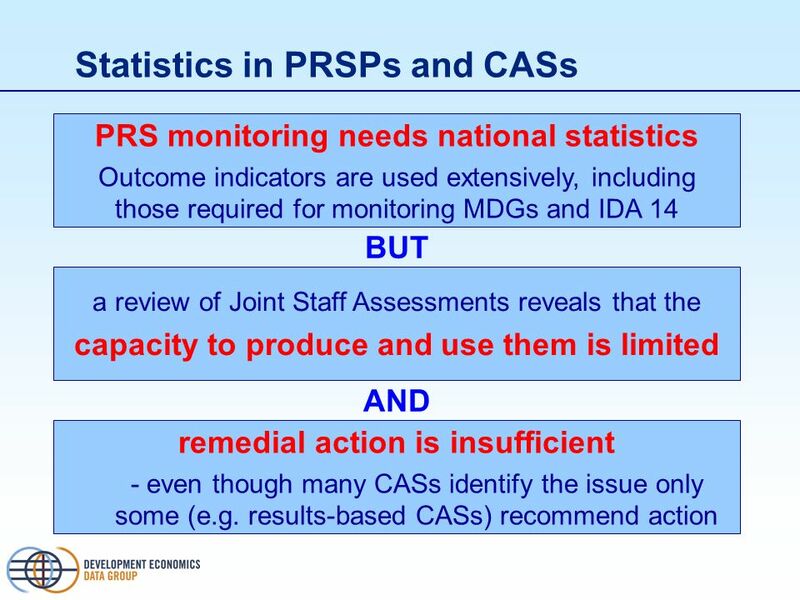 Role of CSOs in monitoring Policies and Progress on MDGs. 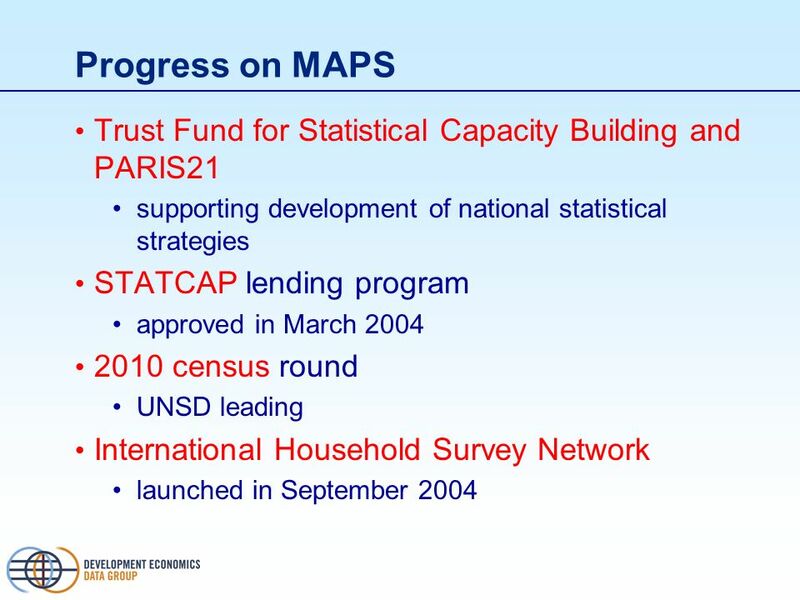 1 World Bank Support TFSCB STATCAP Monitoring systems / Core Welfare Indicators Questionnaire (CWIQ) Readiness Assessment. 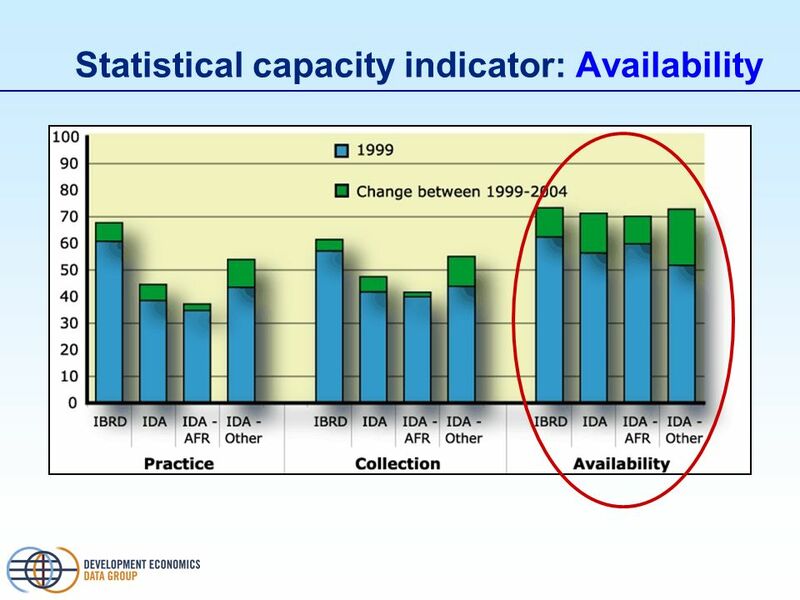 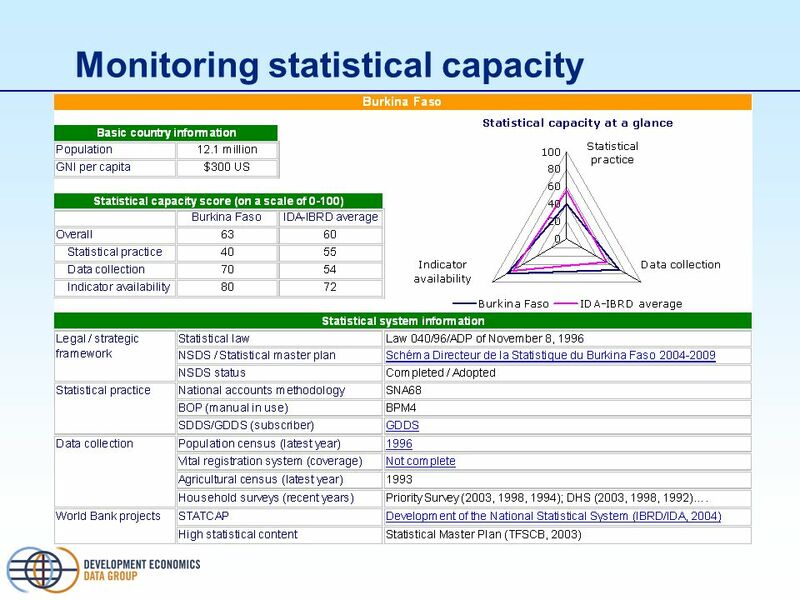 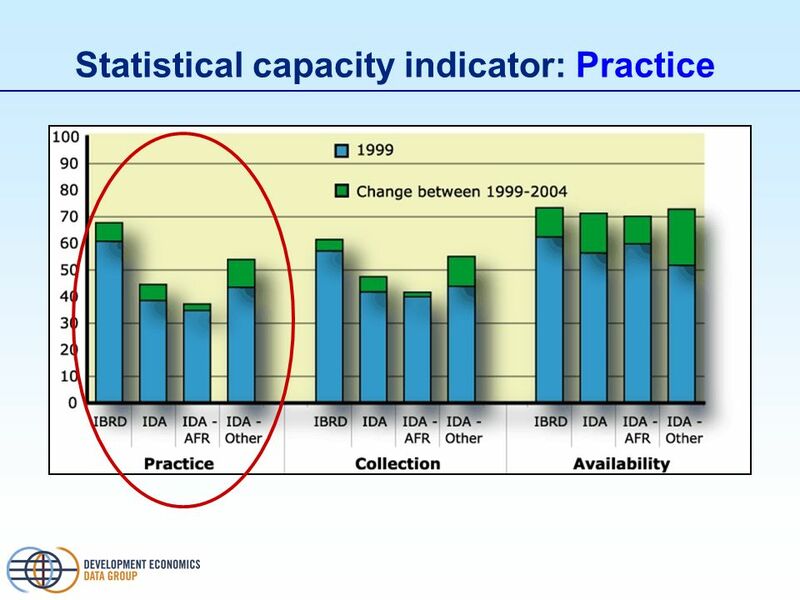 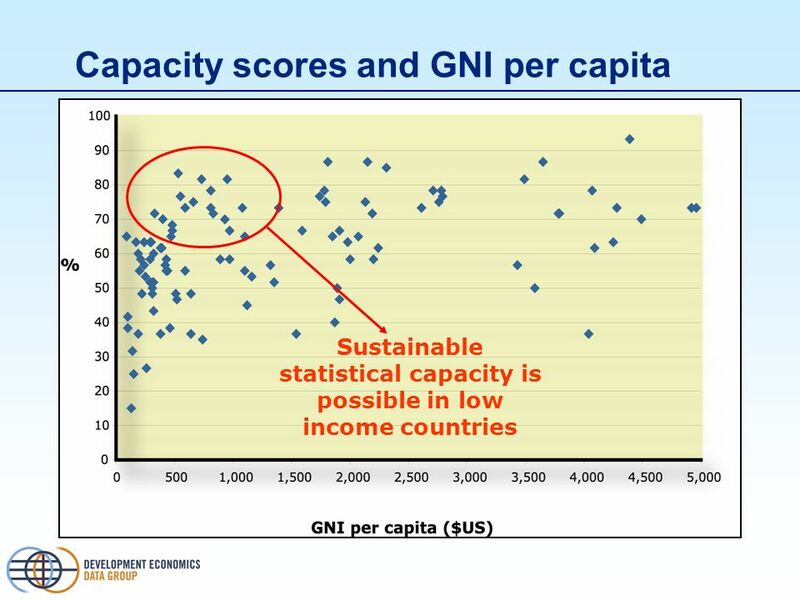 Building Statistical Capacity To Monitor Development Progress World Bank Development Data Group. 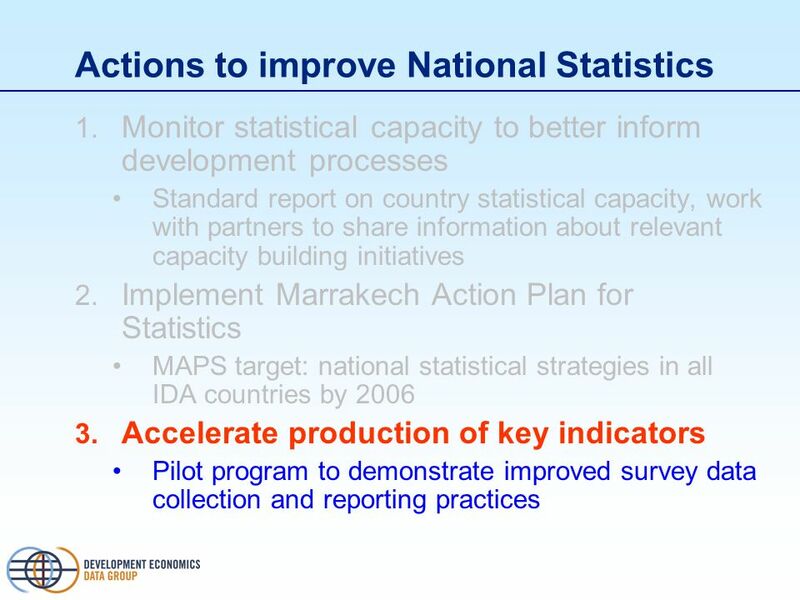 Accelerating Progress Shaida Badiee Director, Development Data Group World Bank. 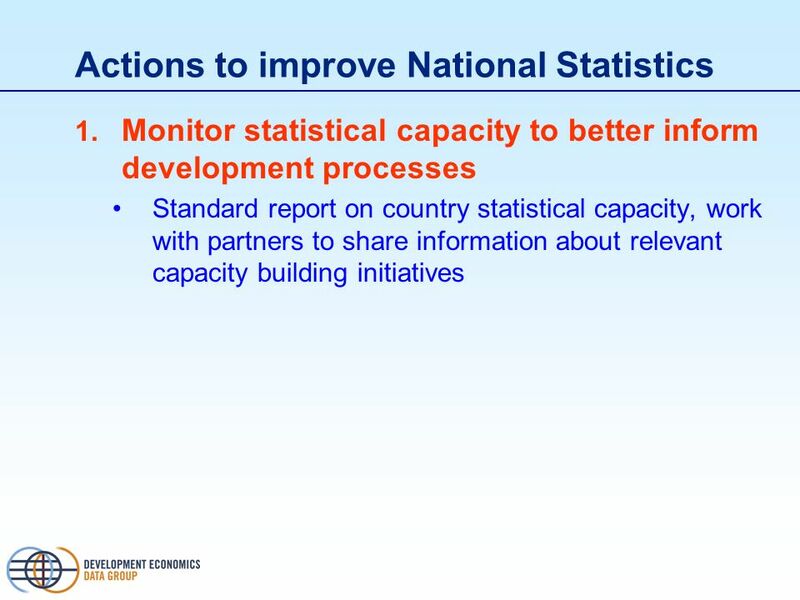 Improving Statistical Capacity for Better Development Results Shaida Badiee Director, Development Data Group World Bank. United Nations Development Programme Oslo Governance Centre Governance & Poverty Reduction: Addressing the Social Cost of Globalization Social Forum 2008. 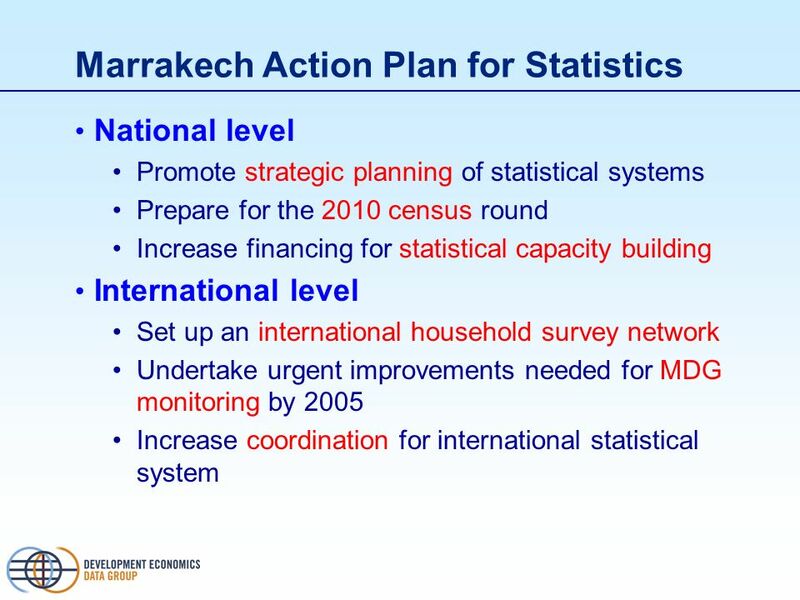 Framework for Planning PARIS21 Future Principal Outcomes Sought, and Possible Targets, for World Community. 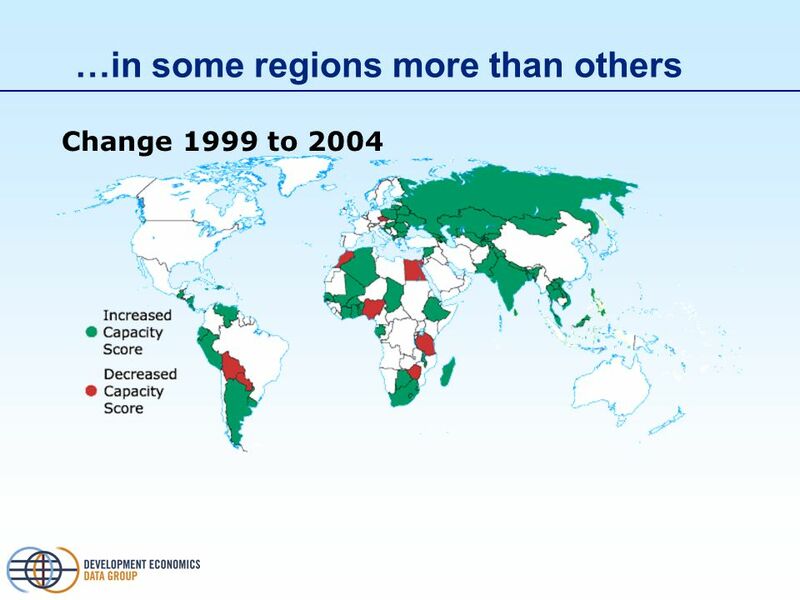 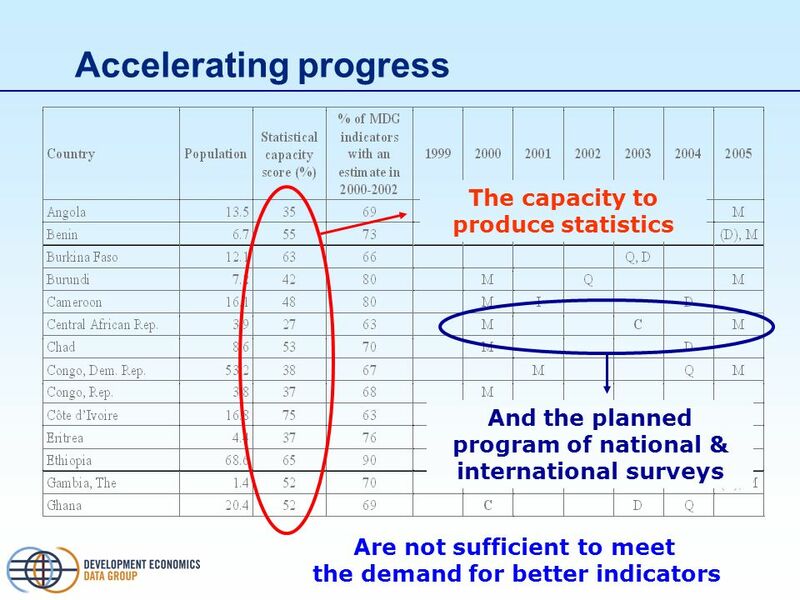 Progress Report, June 2010 Misha Belkindas Development Data Group, World Bank. 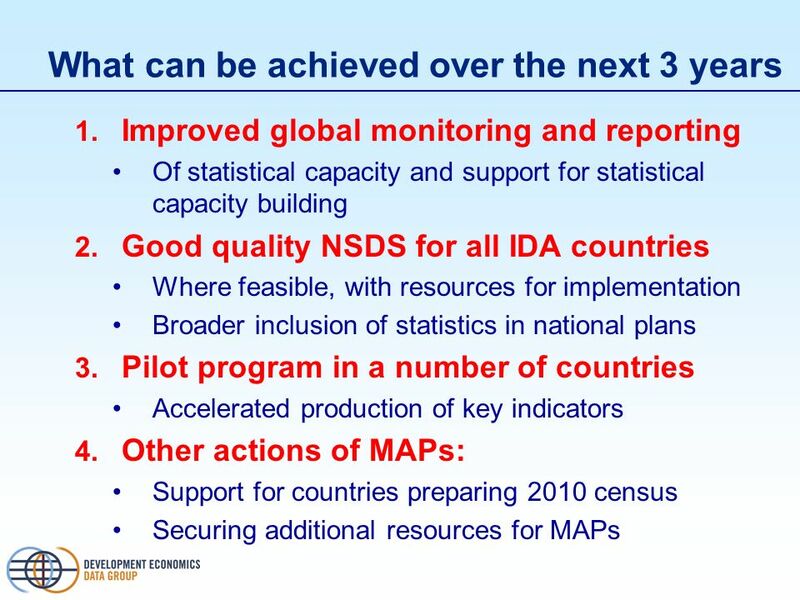 Global Initiative to Improve Agricultural and Rural Statistics October 22/23, 2008 Expert meeting.